* Treat your mother to one of our custom Personalized Mother's Day coffee mugs. 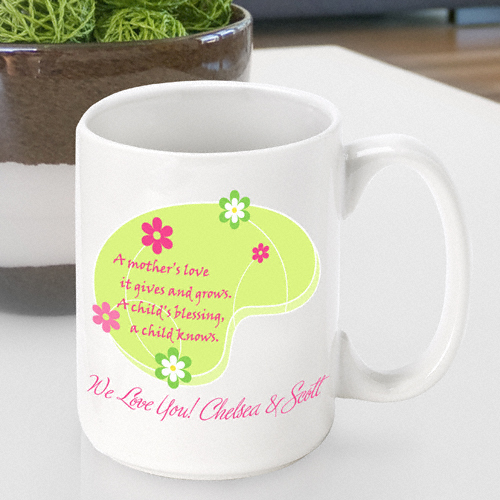 * With every sip, she'll feel your love and the world will know how special your mom is. 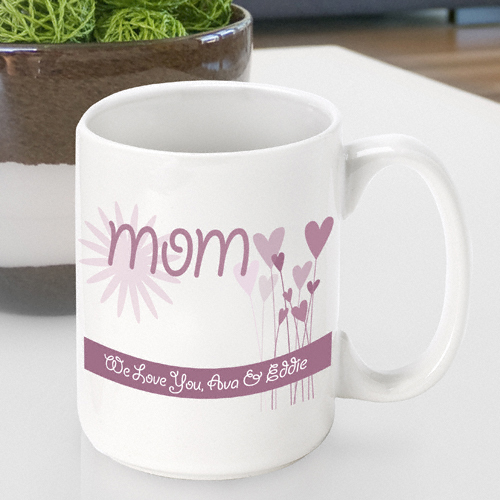 * Available in a variety of styles, one for every mom, all of these mugs carry a special personalized message from the giver. * Made of heavy-duty ceramic, the mugs hold 15 ounces. * Select design and personalize with one line of text up to 30 characters.